I LOVE THE OSKARS WEBSITE AS I FIND IT GIVES YOU THE BEST INFORMATION ABOUT THE ISLAND AND ALL THE DIFFERENT THINGS YOU CAN DO. I FIND THE MAP FOR LASSI BEACHES ARE BRILLIANT AND ALSO THE WHERE TO GO IN KEFALONIA. WHEN YOU HAVE CHANCE TAKE A LOOK AT THE WEBSITE AS YOU WILL GAIN ALL THE USEFUL INFORMATION THAT YOU WILL NEED DURING YOUR STAY AT KEFALONIA. We really love it and we’ve really enjoyed ourselves. The food is excellent, the entertainment and service is super. We will definitely be back again to see everyone!!! Kefalonia is like our 2nd home now, as it’s very addicting! There is so much to do and many trips which are available, which are a must to go on! Especially the glass bottom boat trip!! It’s amazing. Lassi is where we stay twice a year and we cant fourth it at all! It’s perfect. Many taverna’s to choose from, and very friendly people. I would recommend a visit to long beach, with clear water and golden sand during the day, and restaurant ‘Oskars’ in the evening for a fun and unforgettable night!! Walking to Oskars along the Fanari road is very romantic and relaxing! So don’t forget to bring your cameras. You will also past many attractions along the way, like the lighthouse and the water wheel. I’ve just come back from my first holiday in Kefalonia and I must admit that there I spent the most beautiful holiday in my life. The island has wonderful landscapes and beaches, a lot of them aren’t very crowded, so you can enjoy them in a quiet and romantic way. I and my boyfriend rent a motorbike and travelled all around the island, from Sami to Kaminia beach. A marvellous experience! The motorbike allows you to really enjoy landscapes and villages, without any parking problems! I really recommend it. Don’t miss Myrthos beach and Avithos beach… and sirtaki dancing at Oskar’s, of course! 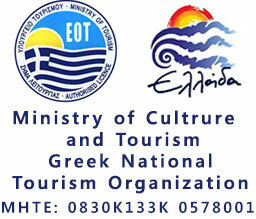 I am not happy with the tour rep, because of the poor information she gave us about Kefalonia. She omitted to tell us about the lighthouse, the waterwheel, the unique geological phenomenon Katavothres and the Italian war memorial probably because they are very near to Lassi, within easy walking distance and are all free of charge. Our rep told us to visit Fiskardo and do the island tour, both of which were very expensive. At the welcome meeting she wanted to sell excursions and the expensive hire cars. We hired a car on our own, went to Fiskardo and paid less money than with the tour operator. Fiskardo is a bit far but its worth a visit. The map of Lassi in Oskars booklet was very helpful and Oskars is the best place for food, good service with friendly staff, a great Greek night, the best value in Lassi, and it’s a restaurant with beautiful views. I recommend to everyone to go to the Lighthouse, the waterwheel, the geological phenomenon at Katavothres, the Italian war memorial and of course Oskars. We went to oskars and our waiter, Makis, was very charming and attentive. We were made to feel very welcome and we will definably come back next year. See you all next year!!! Very friendly. Great food, good service, could not ask for more. We will be back in year. See you!!! Food is lovely, great atmosphere, good entertainment quite busy and good company. So pleased we discovered oskars so early in our holiday. Perfect for us with 2 kids we will back next year see you. At oskars we had great food, great entertainment, great location, so friendly welcoming. Great evening. The best place in lassi. At oskars we love the Greek lifestyle, people, culture, music + everything – would love to live here. Lots of vegetarian choice = fantastic. Very friendly staff make you feel welcome, excellent food, very varied menu, Greek dancing very good-great fun night- with good food!!! We love you all at Oskars!!!!!!!! Earlier that evening we met a man outside Oskars that told us this restaurant was the best on the island. We decided to try it. Both the service and the food were as the man, Andreas said. The best on the island. After 3 meals at Oskars we are so pleased to tell that they have been our best meals! We’ll recommend our friends,, absolutely! You’re the best!! Sitting drinking a coffee after eating in OSKARS Restaurant got me thinking about our regular trip to KEFALONIA and why we do it. This trip we make twice a year Spring and again in Autumn. Why you may ask? We particularly like early Spring, before the tourist season begins to see the wild flowers. Walking is much pleasanter when it is cooler. Swimming is still possible, some locals swim all year round, but it is better to pick your days, when it is at least warmer, out of the sea than in. The Greek Easter is usually pre-season and with Greek friends is especially worth looking forward to. Friends here are many, but particularly our OSKAR family. You can’t beat being off the beaten track, up the mountains, exploring deserted villages, re-visiting old haunts and discovering new ones. After twenty years plus, it is never boring. Travelling here is usually from York by train into Manchester Airport using Olympic Airways to Athens and then onwards to the island. The flight normally leaves late evening, arriving Athens early morning. The island flight leaves a little later. Using one carrier has its compensations if flights are delayed. If this happens use it as an opportunity. Get out of the airport and see what you can find. Transport links from the airport are very good. Depending on the length of a delay we usually 1). short stay got to Glyfada 2). longer delay involving evening flight go in to Athens centre. Any odd items of hand luggage not required can be left at Western Union (downstairs in arrivals). For 1). catch regular 20 min. bus outside for Pireaus and get off at the square in Glyfada ( approx. 20 min.). For a few hours sleep, near the square is the basic Hotel Ilion or 5min. away the Hotel Oceanis. Glyfada offers the seaside, good shops, restaurants etc. with easy bus/tram connection into Athens (BUT, allow one hour travelling time). Option 2). More time available take train direct to Athens centre (12 , 50-60 mins.). Not far away visit atmospheric areas of Plaka and Monastiraki, sit/picnic in National Gardens (near to arrival point Syntagma Square) and see close by Megalo Marmaro (stadium for first Olympics). Want to visit Acropolis? Metro takes you direct to Acropolis station. Remember return to airport takes approx. 60 mins. Athens merits a longer stay, but an enforced stay is a good opportunity to have a “taster”.